challenges but also install air conditioning in the church and make other needed repairs. 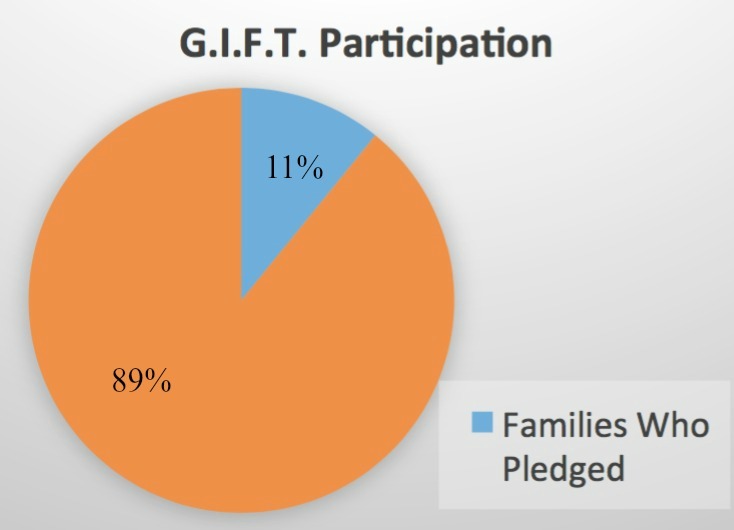 So as we begin this campaign, with the help of pledges from parish leaders as well as money already set aside, we are at almost half of our goal, with only 3% of our parish families participating so far. We will easily attain our goal with 100% participation of our parish family. 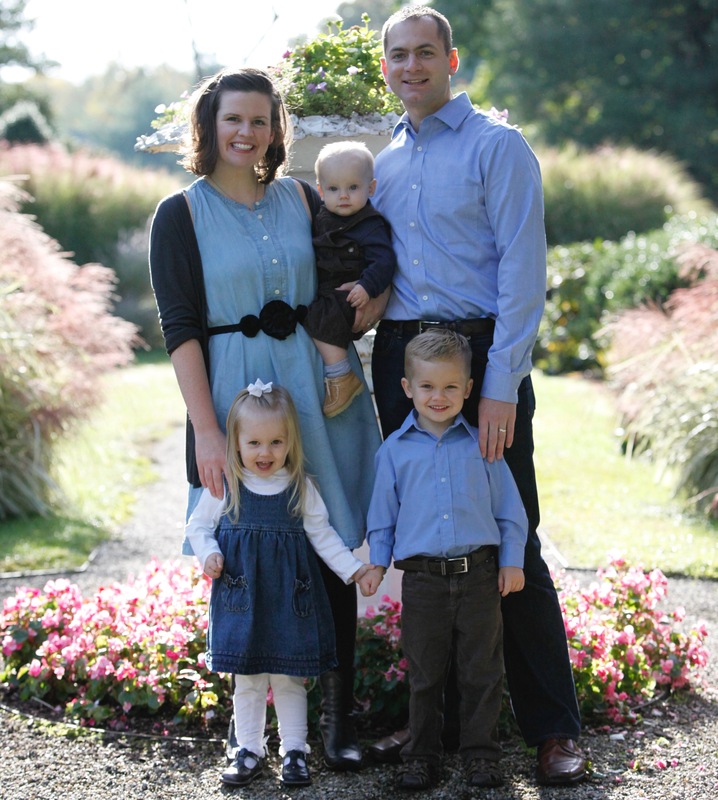 We ask you to consider making a sacrificial gift over and above your regular giving. Our greatest need is to replace the entire church heating system, which will not make it through next winter. 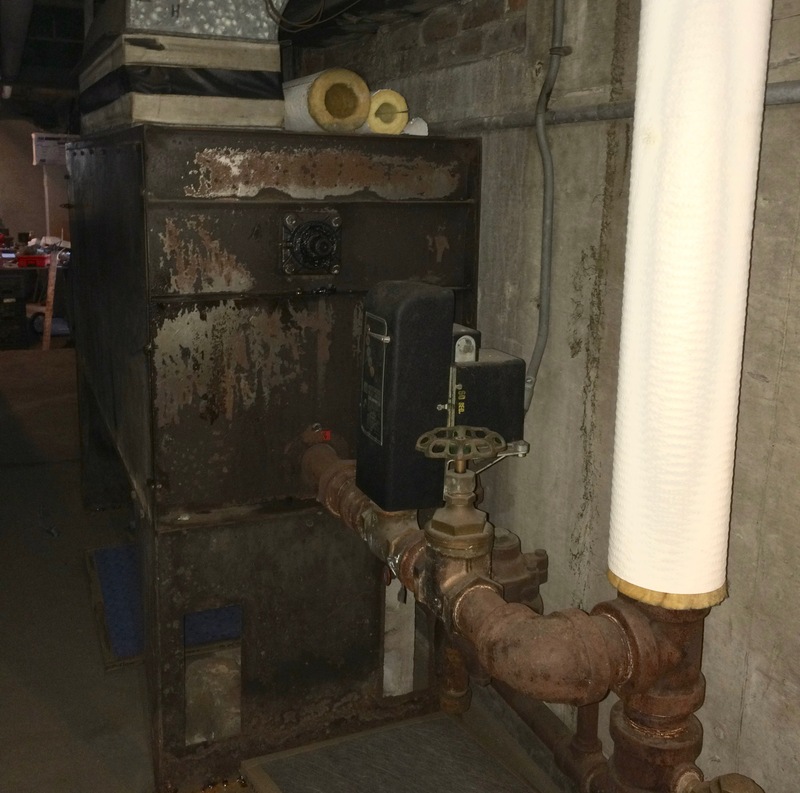 A total replacement will include the boiler, as well as the blowers and pipes, leading to a quieter, more efficient heating system to last through our harsh New England winters. 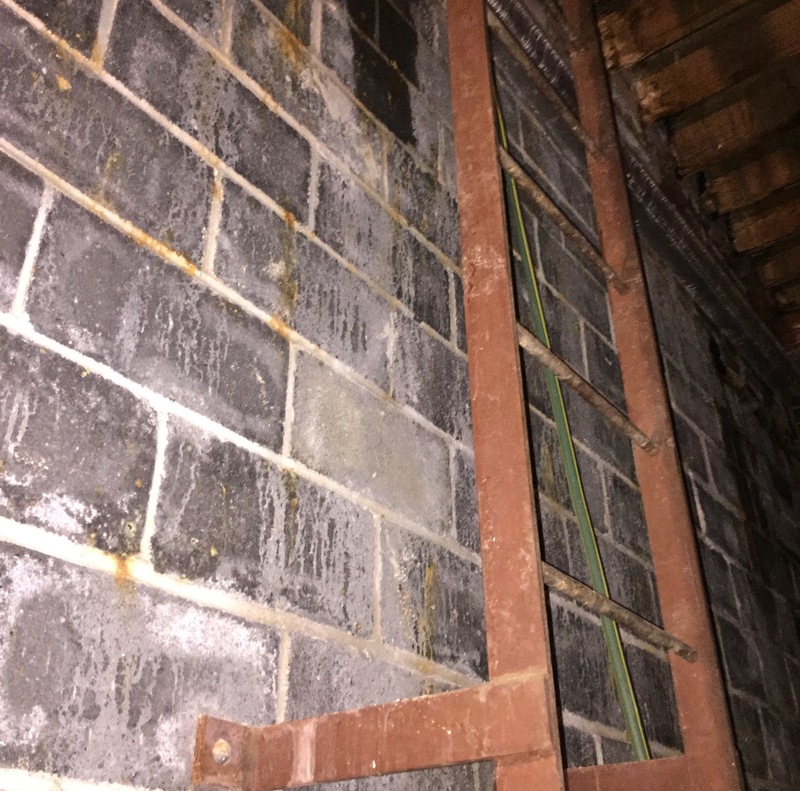 After years of New England weather, our beloved bell tower is now leaking and causing significant damage on the inside of the church and must be repaired to preserve this landmark in our community. For the first time, we will be able to install air conditioning in our church making it more inviting for community worship during the summer months. We will also take care of smaller, but equally important, repairs throughout the parish. We will have a power point presentation on our growth as a parish to give everyone a deeper understanding of the challenges we face, the critical need to address these challenges, and the plan we have to accomplish them. Here is a second chance to attend the power point presentation on our growth as a parish to give everyone a deeper understanding of the challenges we face, the critical need to address these challenges, and the plan we have to accomplish them. 7:30 PM in the School Hall. This will be an opportunity for those who have not yet made a pledge to do so during Mass. 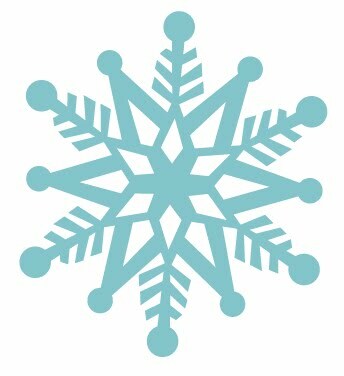 This is our ultimate target date to begin the work to make sure we have heat this winter. 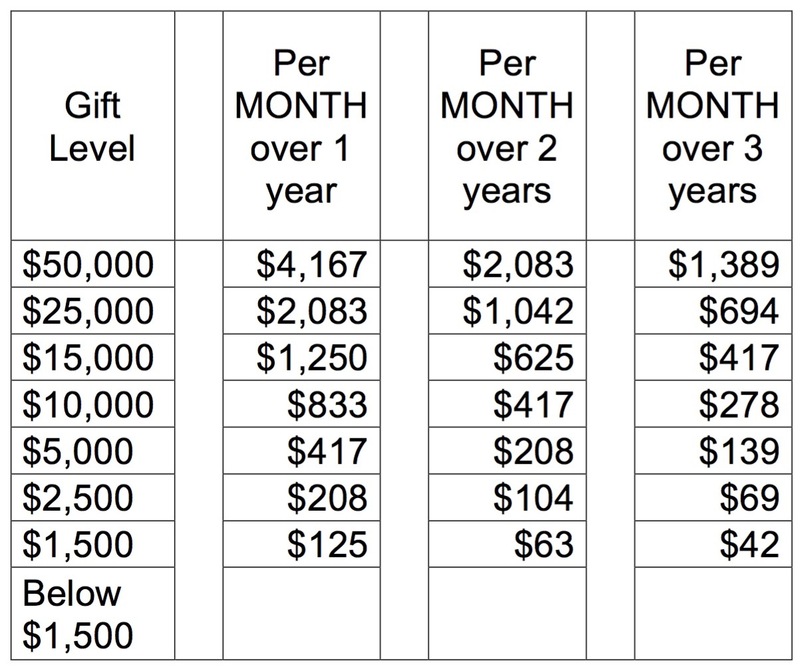 Use this chart to calculate your gift over a maximum of three years.